1. First, you need to access the DNS settings from your Godaddy Account. You can also follow this article from Godaddy. 2. 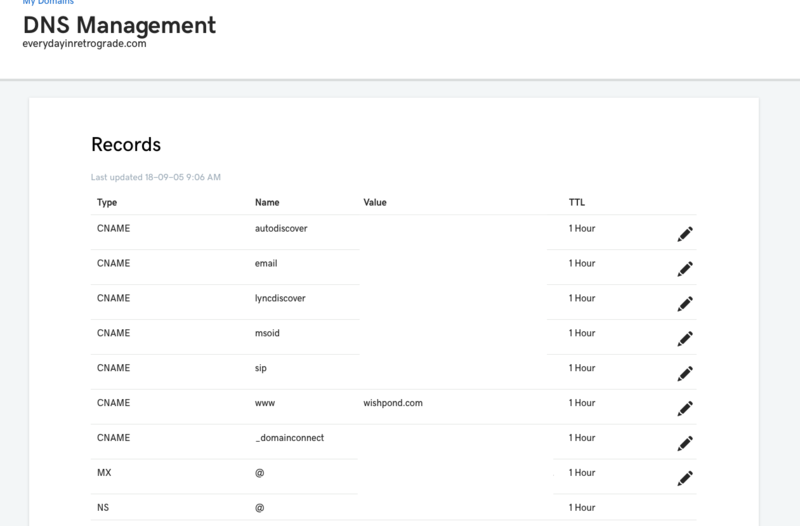 From DNS management, you need to add a CNAME record to point your subdomain to wishpond.com. If you would like to learn more about CNAME record, you can also refer to this article from Wishpond. 3. "www" is a subdomain that was used as an example in this case, but any other subdomain names can be used. Please make sure there are no duplicating records with the same name. You will encounter an error saving the record if there are duplicates. 4. 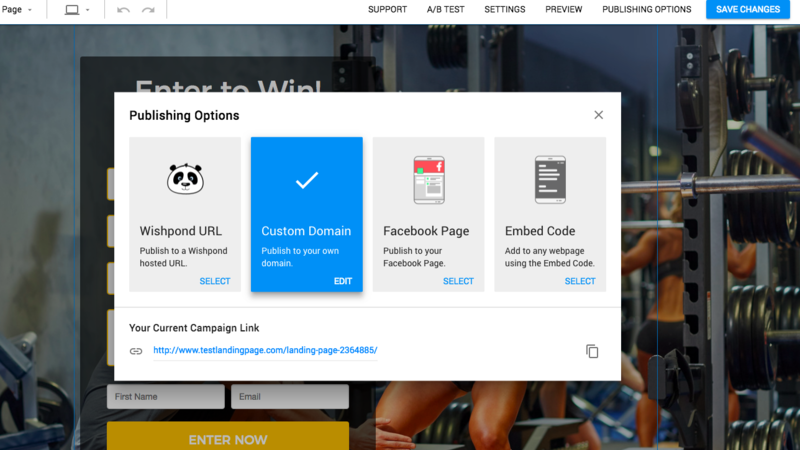 Go to Wishpond, and publish your campaign on Custom domain. Make sure your URL is exactly matching. If the url recorded on DNS side and Wishpond is not matching, this will not work (path name can be different, but subdomain must be exactly the same). Finally, DNS propagation can take up to 48 hours. If your page fails to sync after 48 hours, please contact support@wishpond.com for help.